Jason McLeod almost gave up competing and now he’s nearly 3 minutes away from an Olympic Trials Qualifier. There are many things you could call 27-year-old Knoxville runner, Jason McLeod: humble, kind, hardworking, and generous, but what you can’t call him, is slow. 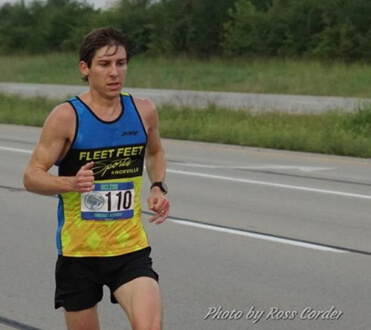 In his debut marathon at the Indianapolis Monumental Marathon in 2017, Jason (by his own admission) found himself pushing the pace from the gun forward, clicking off a 5-flat mile, and running behind the elite field in the half marathon. For most runners, the consequences of this would spell the end of their race plan, and while he experienced difficulty at mile 21, he would go on to finish at a blistering 2:29:55, coming in 14th overall. A time and place that most anyone would agree are astounding for a debut race. Especially one as large as Indianapolis. It’s hard to imagine someone who wills themselves across the finish line of a marathon on their first try at 2:29 got into running as a high school baseball hopeful with a 5k time of 23 minutes, but Jason’s path wasn’t necessarily one of over-zealous obsession, but serendipity. He continued competing in baseball as well but soon discovered his talents were better applied as a cross-country athlete. So, he switched his focus entirely to the track, hoping to leverage the opportunity to help pay for college tuition. He continued to chip away at his fitness. Which showed in his 5k times. His college search landed him at Bryan College in Dayton, Tennessee where he competed on the cross-country team for four years. It was here that Jason says he began to truly love the sport. What he previously viewed as an opportunity for an education turned into a passion. This same advantage of being around a like-minded community of runners is what Jason eventually found in Knoxville. One week after graduating from Bryan he jumped into the Secret City Half marathon, taking home first place in 1:11:53. Eventually, he moved to Knoxville, taking a job at Fleet Feet, and running recreationally with a local cross-country team. He didn’t train seriously at first, somewhat giving up on ambitions for running altogether. 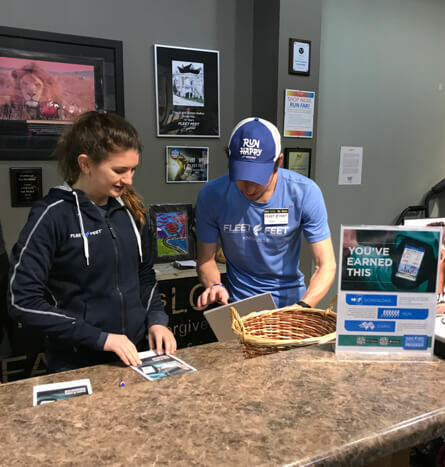 At Fleet Feet, he learned about the Knoxville Endurance running community through his co-worker Andrew Ogle. Jason competed in the Farragut Half marathon and caught the attention of Knoxville Endurance owner, Bobby Holcombe, who took Jason on as a student. It didn’t occur to Jason at the time that he had serious potential to pursue an OTQ (Olympic Trials Qualifier) in the marathon, but he knew that the longer distances were his strength. 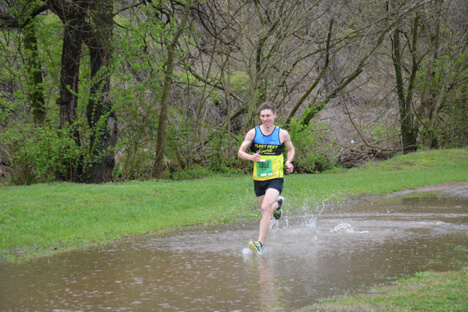 He continued competing in half-marathons and sharpening his speed in the 5k. It wasn’t until a full year later of training that Jason would attempt his first full marathon in Indianapolis. Initially, the plan was for him to focus on a 2:30 pace, but he held pace for a 2:25 all the way until mile 21. Jason decided to throw himself into training for the 2018 Chicago marathon, which several KE athletes also attended. His fitness had grown considerably, but it was a gamble on taking a chance at attacking it aggressively to run a 2:19 and risking more fatigue in the later miles, or opting for a more conservative race in an effort to avoid bonking. Jason decided to risk a more aggressive approach. He did not blow up in Chicago and held steady 5:20’s, and slowed only to 5:40’s in the last few miles. Holding the pace consistently and finishing in 2:22:22 (yes, all 2’s). Shy of the qualifying time by 3 minutes and 22 seconds. Needless to say, taking a chance and going for it still ended in an astonishing 8-minute PR. Jason’s story and his performances aren’t just a testament to his talent, or his work ethic but rather are indicative of the spirit of the sport. Something that has brought him, and lots of athletes to KE. That there is buried treasure to be found in taking chances. That we don’t need to resign ourselves to think about what we “used” to be able to do but challenge ourselves to see what we can do. That risking failure is not just a good way to meet a goal, but in reality, the only way to do it.